I don't know about you, but I love my bowl of cereals every morning for breakfast, whether at home or away. Last week I was in Berlin, staying at the Kempinski Bristol Hotel in Chalottenburg district and the choice of cereals was amazing. Bowls of all types allowed me to mix my favourites with a host of different nuts and fruits and a choice of full or skimmed milk or yoghurt on top. However, it seems cereal lovers are a growing minority. 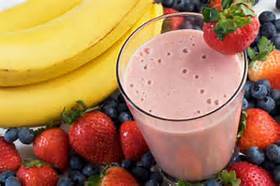 A growing number of people are avoiding cereals in favour of a breakfast smoothie you can drink on the go. More and more of us are apparently opting for quicker breakfasts, as we don't have enough even time sit down to a bowl of cornflakes. As a result, Kellogs has suffered its seventh successive drop in quarterly sales in the three months to the end of October. 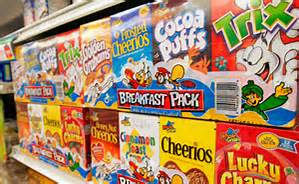 The company which makes Corn Flakes, Crunchy Nut and Coco Pops, is reported as saying that its decline cross the whole of Europe has been driven by lower sales in the 'challenging' UK market. How it is quite as 'challenging' as the rest of Europe they fail to say. 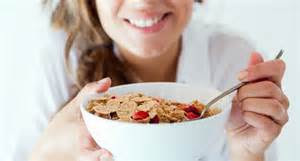 Once a fixture of most families' morning routines - kids sitting at the breakfast bar shoveling down the Shredded Wheat - cereal has fallen out of favour in many homes and is increasingly being shunned in favour of healthier and quicker alternatives such as fruit or smoothies. (Hopefully, it's fruit!). It seems that more of us are eating on the go, according to consumer and business experts at my old university, London. One such expert, Dimitrios Tsivrikos is reported in the food press as saying that the younger generation will replace cereals with smoothies, fresh fruit and yoghurt and a lot of individuals only spend five minutes on breakfast and are looking for quicker solutions. Is that so they can stay in bed later? It seems that these consumers will have something out of a packet for breakfast so nothing needs to be cleaned away afterwards. Added to this, health campaigners have raised concerns about the amounts of sugar in some cereals - including those aimed at children. Are you ditching cereals? I'm not!